British Swimming Paralympic performance director John Atkinson believes his squad will make an impact at the London Games after the conclusion of the trials in Sheffield. 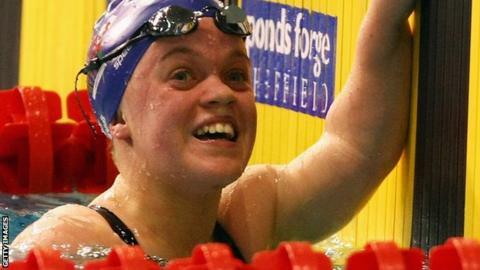 A total of 32 swimmers, including Ellie Simmonds and Sascha Kindred, have reached the qualifying standards. The first wave of selections for the 2012 Paralympic Games will be confirmed on Tuesday. "I think the team will be competitive in London," he told BBC Sport. The team won 41 medals, including 11 golds. At last year's European Championships in Berlin, the team won 27 gold medals. "Every swimmer that went inside the qualifying standard is capable of improving by two per cent or more ahead of the Games." Defending Paralympic champions Dave Roberts and Liz Johnson are among those awaiting the selectors verdicts after both missed out on the qualifying standards in their respective events. The GB team is expected to feature around 40 swimmers who will be hoping to improve on the 11 golds the team won in Beijing. "My job as performance director is to maximise the medal-winning opportunity of the team in London," added Atkinson. "This weekend has been a good opportunity for all of the swimmers. There are some who have reached the qualifying standards and others who have added to their events. "We also now have to look at the relay combinations and how they link together and see what provides the fastest relay opportunities and that will bring more swimmers into the fray." Susie Rodgers, who won five golds and a silver at last year's European Championships, added to her growing reputation when she bettered her own European record in the 400m freestyle heats. Rodgers, 28, who is based in London and who is hoping to make her Paralympic debut in the city, set a new time of five minutes 22.23 seconds - an improvement of 0.58 seconds on the mark she set last year in her S7 class. "I never thought a European record was on the cards but it was a really good swim, although I'd like to have gone quicker in the final. But I've done 10 races in three days so I'm pretty tired now," she said. "I'm definitely where I want to be at this point. I reached the 50m freestyle standard here to add to the four events I qualified for at the first trials, which is what I wanted to do so now it is about keeping things consistent. "There is still work for me to do and the Paralympics will be my first major international meet so it will be great but also nerve-wracking." Scottish 15-year-old Andrew Mullen made the Paralympic qualifying standard in the SB5 butterfly and is also in line for selection for London. But despite setting a British record in the S10 class in the same event and becoming the first man to break the one-minute barrier, James Hollis missed out on the selection time by four hundredths of a second.